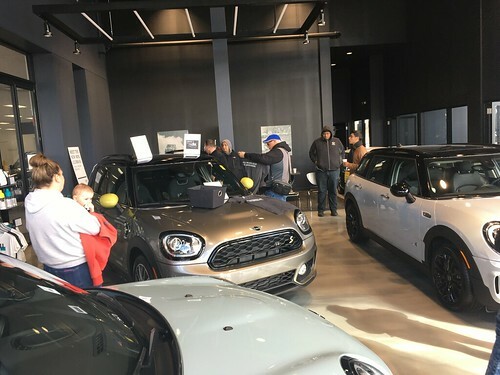 The Windy City BMW Club has invited the Chicago MINI Motoring Club to attend their Car Control Clinic held in Maywood on August 8th. WHO: Chicago MINI Motoring Club members have been invited. There is a 40 person limit, and only a few spots remaining. WHY: The perfect chance to have fun, and help understand what your car can do as you approach you and your cars limits in a safe controlled environment. IMPORTANT!! Registration deadline is August 6th or when it is full. You must print and send in This Form to participate. Too bad I cannot come as I will be driving to Mini In the Mountains in Colorado… Does anyone know of any similar events to this one this Summer? Kes. I’m going! — hope to see some other CMMC folks. Windy City BMW does one or two of these a year. This is our second for the year so the next one will be in 2010. The Badger Bimmer group nomrally does one too, but I think it is earlier in the season. Have a great trip to MITM and I’ll see you at Putnam in a couple weeks. EXCELLENT time, and a full day very well-spent; the BMW clubbers were superbly organized, cordial, and could not have been more encouraging as they were training us … a great way to learn what you and your equipment are capable of. Highly recommended, and a bargain at $50.